Posted February 13th, 2014 by steve. We have a highly qualified staff with advanced degrees and training, which enables Logix Real Estate Solutions to provide quality appraisals and consultation services for virtually all aspects of the real estate economy. Our appraisers are encouraged, and given funds, in order to increase and continue their education. We have expertise in some very specialized property types such as hospitality, self-storage, skilled nursing and assisted living facilities. In addition we have a breadth of experience appraising all types of commercial and industrial real estate. The education and experience of our staff is not only extensive, but varied, which provides a strong base for the different assignments and specialized needs of our clientele. We pride ourselves on offering comprehensive valuation services and a wide range of related consulting solutions. Our staff averages more than 15 years of experience with diverse backgrounds in development, finance, management and market research. Stephen is President of Logix Real Estate Solutions, Inc. Logix was formed in the spring of 2012 to provide comprehensive real property appraisal and valuation advisory services. As president, Steve focuses on the day to day operation of the company and supervising staff appraisers. In addition he specializes in appraising and consulting on commercial and high end residential properties for tax appeals and litigation purposes. Before starting Logix, Steve was a Senior Vice President and head of Litigation / Valuation for The Gem Real Estate Group, Inc. Steve was with Gem for over 9 years. Prior to that, Steve was a commercial real estate appraiser and consultant with the Hazen Company in Myrtle Beach, South Carolina. Prior to becoming an appraiser he was a Vice President of commercial real estate lending with Wachovia Bank and was a commercial real estate lender/analyst with Star Bank and Huntington Bank. Steve has over 20 years of commercial real estate experience as an appraiser, investor, broker, property manager, and as a lender for large regional and national banks. His experience was compiled valuing, consulting on, and analyzing commercial real estate projects including: office buildings, industrial warehouse and manufacturing facilities, regional and neighborhood shopping centers, condominium developments, apartments, parking garages, restaurants, residential subdivisions, industrial parks, high-rise oceanfront condominium developments, hotels, golf courses, land development, self-storage facilities, and special use properties. John joined Logix Real Estate Solutions at its inception in July 2012. 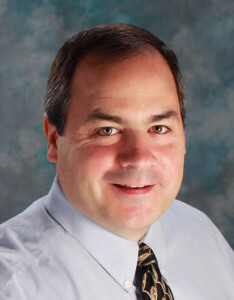 John is an appraiser and Vice President of Logix. Prior to joining Logix, John was a staff appraiser with the Gem Real Estate Group. 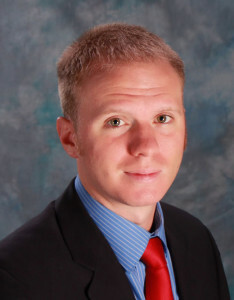 John has nearly 10 years of commercial real estate experience serving the Cincinnati and Dayton markets. John’s previous work experience includes appraisal and consulting on a variety of property types including apartments, retail, restaurants, industrial warehouse and manufacturing properties, office buildings, and special use properties. John has developed expertise in the appraisal and consulting for self-storage facilities, skilled nursing and assisted living facilities. His past experience also includes a stint as a research analyst for CoStar. John’s research experience provided him with useful knowledge of the markets we cover and allowed him to form relationships with many real estate professionals in the area. As a member of the Logix team, John uses his skills and experience to analyze the real estate markets and develop appraisal reports. John graduated from The Ohio State University in 2004 with a Bachelor of Science degree in Business Administration. John is currently a Registered Real Estate Appraiser Assistant and is taking classes to become a Certified General Real Estate Appraiser. John’s role at Logix will continue to focus on a variety of property and assignment types.